From the high class fashion boutiques of Orchard Road (Singapore’s very own Rodeo Drive), the hip retail stretch of Haji Lane, to the Sungei Road Thieves’ Market, Singapore is well known as a mecca for shoppers. 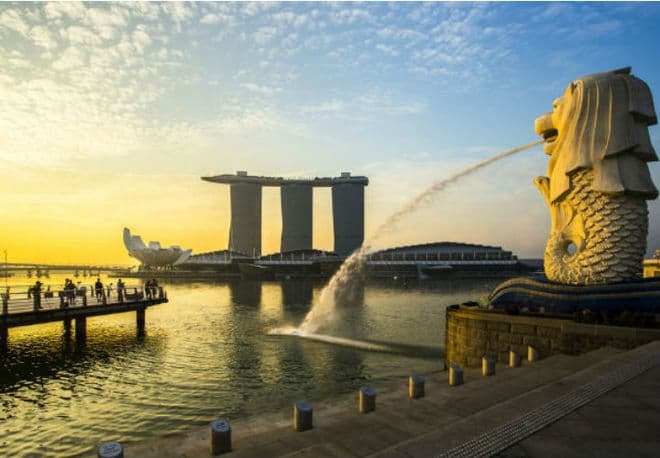 But it’s the unique blend of Chinese, Malay, Indian and Peranalean cultures that make Singapore a great travel destination for the young and the young at heart. So whether you’re looking for a shopping bargain or a new cultural experience, we’ve got $20 stories that will have you booking your trip to Singapore pronto! "Street lane for Laksa lovers"
Katong laska is one of the main reasons I always stopover in Singapore on my way to Europe. Head to East Coast Road, there is a famous laksa war between rival restaurants – 328 Katong, 49 Famous Katong Laksa and Marine Parade Laksa. I generally eat at 49 Famous but they are all really good. For $20, you’d be able to get a bowl of laksa at all three restaurants and decide for yourself which is best. I just love bric-a-brac and there is no better place to spend a few hours rummaging through the junk (I mean treasure) than at the Sungei Road Thieves market. There is something for everyone, from retro clothing, books, gadgets, toys, lots of vinyl and books galore. Yes, it’s noisy, hot and utter chaos so it’s not for the rookie bargain seeker. Quick pointer: haggle with your $20 and you’ll be surprised at just how far it will go. If you’re like me and gadgets mean the world to you, then you’ll find solace at Sim Lim Square in Singapore. It will be hard to keep purchases under $20 in this 6 story IT megamall but you can just browse and play with the latest gadgets including cheap electronics, camera and computer equipment and much more. Feel free to stay there all day long- it’s open late til around 9pm. "Chow down on Chilli crab"
If there’s one rule when visiting the East Coast Seafood Centre – don’t wear white. This is the place to try the legendary Singapore Chilli Crab or if you like mixing things up, try the Black Pepper Crab. Most of the restaurants will give you a white paper bib to put on while you eat as you’ll have to smash the shells to get to the juicy parts of the crab. I reckon that the best part is mopping up the sticky sweet sauce with french bread or mantau (Chinese buns). Then rinse it down with some cold Tiger beer and repeat. Just make sure you go with a group as you’ll need to pool your cash to get your meal for under 20 bucks. "Taxi drivers with the X Factor"
Not sure whether if it was just my good fortune to get the only taxi driver in Singapore with a Karaoke machine in the back of his taxi or if there are hundreds of Singaporean Lionel Richie wannabe taxi drivers out there â€œdancing on the ceilingâ€. Nevertheless, it was definitely a highlight of my Singapore trip and the fact that he had a stash of Singapore Airlines nuts in the back seat as well made this taxi ride the best $20 I spent in Singapore. "Time warp to Colonial Singapore"
If you want to go on a time warp back to Colonial Singapore visit the Raffles Hotel. Sure, the hotel is outrageously expensive to stay at but who said you needed to stay there to visit’ You probably can’t even get a Sling at the Long Bar for $20 anymore (maybe a beer’) but the decor and grandeur of the hotel still make this Singaporean institution worth a visit. Grab a seat at the bar, snack on the free peanuts (which you throw the shells on the floor), and soak up the atmosphere with the other tourists! $20 will go a long way to a beautiful meal at the night market in Singapore. Open every night of the week, the atmosphere and food are an absolute delight! It’s also a fun shopping experience with heaps of cheap souvenirs to choose from!